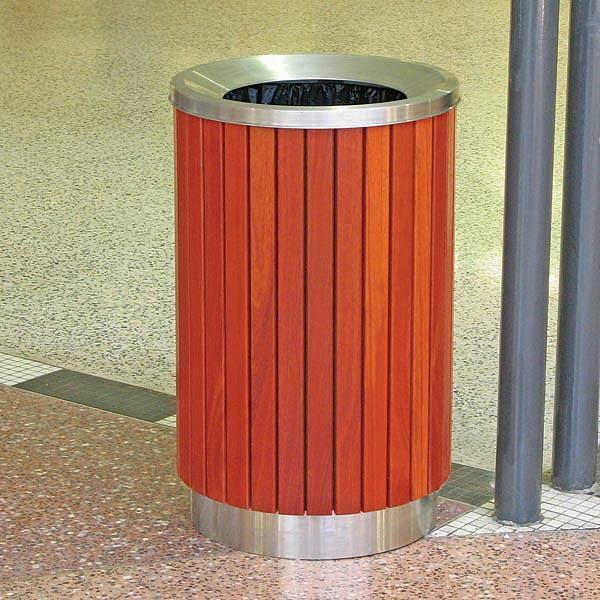 Attractive and durable timber slat litterbins to complement our range of timber slatted seating and planters. 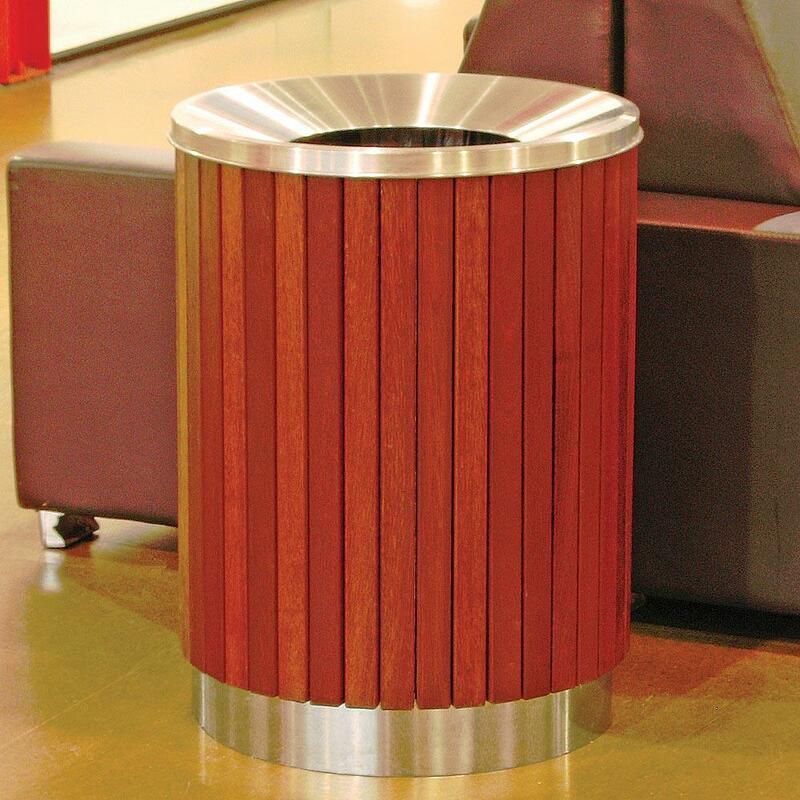 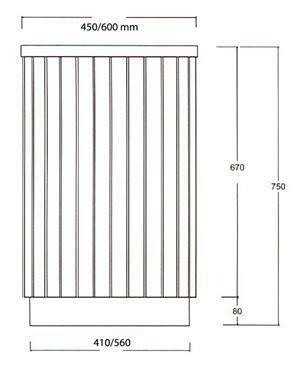 Featuring 20mm x 40mm hardwood slats, a protective stainless steel base trim and a stainless steel top. 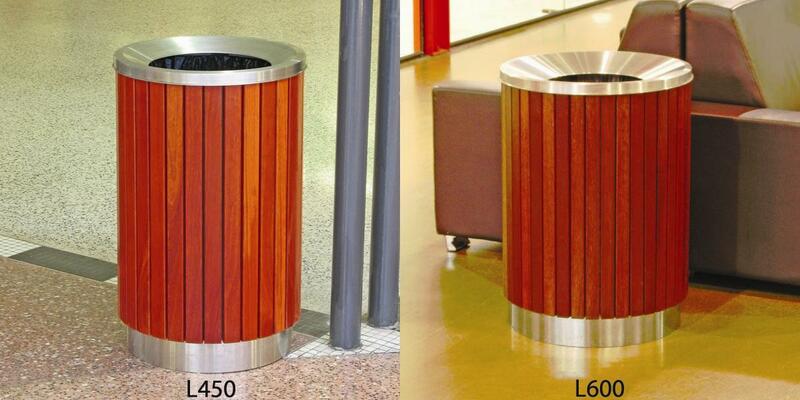 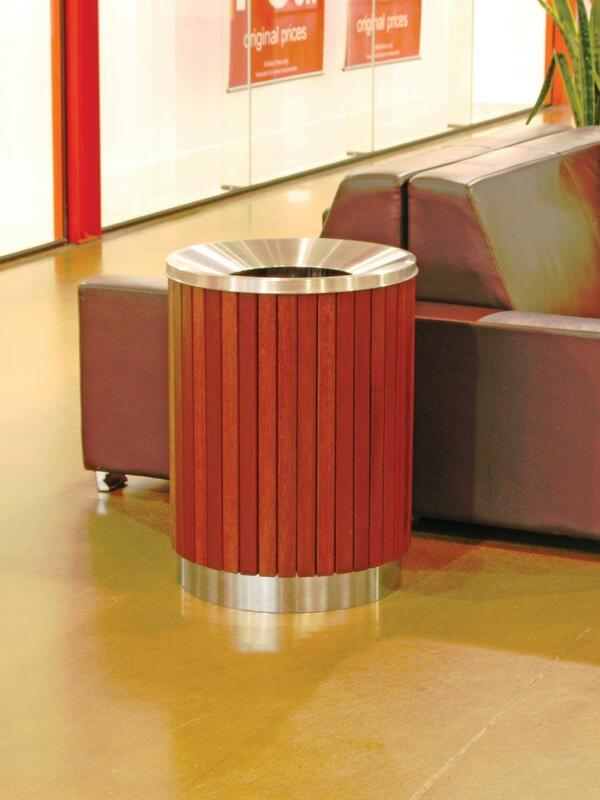 These bins are suitable for internal and external use.
. Hole size 290mm dia, 450 & 600 dia bins.